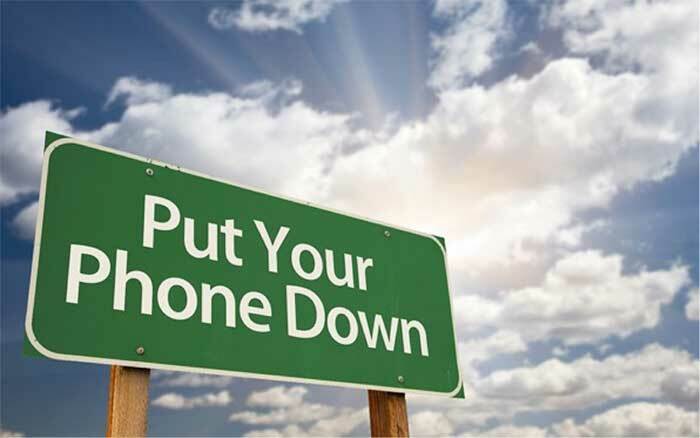 With the emergent use of cell phones in all situations, it has become especially dangerous with use in vehicles. However, distracted driving isn’t limited to just cell phones; it could be things like putting on makeup, eating, and messing with infotainment systems. It could be anything that brings a driver’s attention away from the road ahead of them. Eliminating texting and driving has been important as evidenced by the emergence of laws pertaining to this very dangerous activity. Other distracted driving examples include beauty care and handling situations with children. The Center for Disease Control (CDC) reports that nine people are killed and over 1,000 get injured every day in the US due to distracted driving. Most of us know just how dangerous distracted driving can be because we have seen evidence of it when others do it. We’ve seen other drivers swerve suddenly, blow stop signs, ignore red lights, and speed excessively because of being distracted. Of course, when we aren’t distracted, it’s easy to pick out who is. On the other side of the coin, 99% of drivers make the choice to engage in distractive activity while driving, even when they know the severe consequences of those actions. Traffic school courses such as defensive driving are able to educate a driver on their state’s laws on distracted driving. There may be general, specific, or a mix of both laws when it comes to governing distracted driving. The general laws involved with distracted driving include all activities that don't deal with driving that may cause a driver to drive unsafely. Basically, it makes no difference if a driver is playing with the radio or texting; when a police officer sees these activities, they are deemed distracted driving. Specific defensive driving laws are ones that target specific activities that lead to lost focus on the road. Such things include talking on cell phones, writing, going online, playing games, reading, messing with pets, shaving, and eating. If a state doesn't specify that an activity is not allowed, it doesn't mean it is safe to do so, and it doesn't exempt you from any action that law enforcement may decide to take. A police officer may just pull a person over solely for being distracted, no matter what the cause. Then they are able to cite you for the distracted driving behavior even if there were no other offenses you were pulled over for. If you want to know more about various distracted driving laws in your state, check out the Governor's Highway Safety Association website. The CDC declares there are three big causes of distracted driving, which are visual, manual, and cognitive. A visual and manual distraction are both classified as a person having their eyes off the road or hands off the wheel. On the other hand, cognitive distractions are ones that take a person's mind to another place other than the road, even though they may still be looking at it. Of course, it's impossible for an officer to give you a ticket for not thinking about driving, and it is difficult to control. Everyone has slips in their mind while driving. Some cognitive distractions include a serious tragedy or a big argument with a loved one. Instead of seeing that red light, a person may be thinking about the argument they had with their kid. Instead of stopping at the stop sign, a person may be focused on their performance review at work. Another big distracted driving problem is fatigue at the wheel. Vision may be slightly impaired when someone is really tired, they may start stretching in the car, and they could even nod off. The risks of these types of distractions are close to those of drunk driving. Of course, those kinds of risks should be avoided at all costs. Another unforeseen cause of distracted driving is when a driver tries to justify their distracted behavior. A driver mistakenly thinks they are able to do things like comb their hair or text because "they will only be looking away for a second." Drivers need to have a much more refined train of thought to prevent lapses in judgment such as this. An accident can happen in a split second. Traffic tickets aren't the only thing somebody can get when they are caught distracted driving. In the event of an accident, an officer tries to recall any such behaviors of the drivers that may have caused them to be distracted prior to the accident. In some cases, a lawyer may request phone records to see if a person had been using their phone before the accident. This can be done even if no witnesses reported seeing somebody using their phone while driving. If the courts come to find out that a person did in fact use their phone during the time of the accident, a lawyer may use that to prove negligence/reckless driving. If a lawyer is able to successfully prove this, a person is looking at being financially and legally responsible for the crash. In a number of cases, a person who has been deemed distracted at the time of an accident may in fact have not been cited as causing the accident at the time, but they may become 100% responsible if it is proven they were distracted. If a driver were to sustain injuries from an accident in which another person was at fault, they may not be able to receive coverage for damages if it is proven that they were distracted. The US government website pertaining to distracted driving states normal daytime hours are host to 650,000 drivers of the road who are using some kind of electronic device when driving, and that has been proven to multiply a person's risk of accident by three. You should realize that it takes a good five seconds to read and reply to a text message, and when fast speeds are involved, that's way too much time to be risking. Distracted driving is a huge problem in the US, and just about everyone has engaged in some type of distracted driving before, whether intentional or not. To ensure you are able to handle the roads better and avoid distracted driving temptations, you may consider taking a traffic school course to learn defensive driving techniques and the laws pertaining to distracted driving in your state. Another added benefit of these courses is that you may be able to get your car insurance premiums lowered. In the end, it's on you to learn to eliminate distractions while driving, so one of these courses is a great way to do just that.